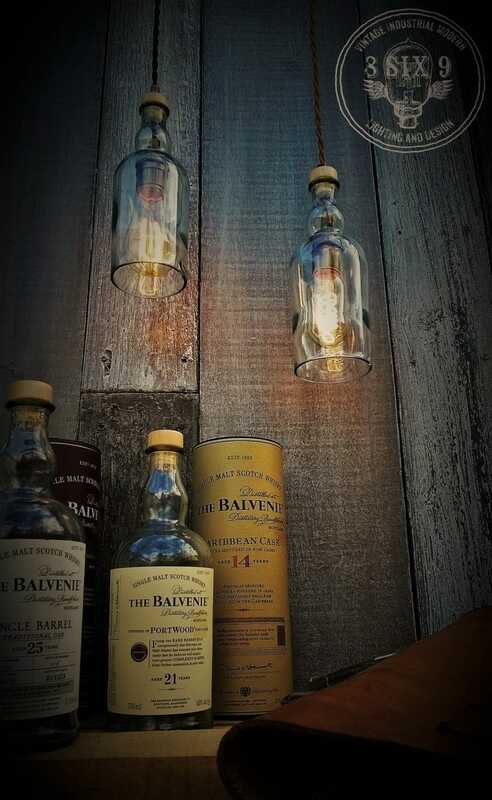 Want some upcycled whiskey bottle lighting with some class? Balvenie is the answer to that! 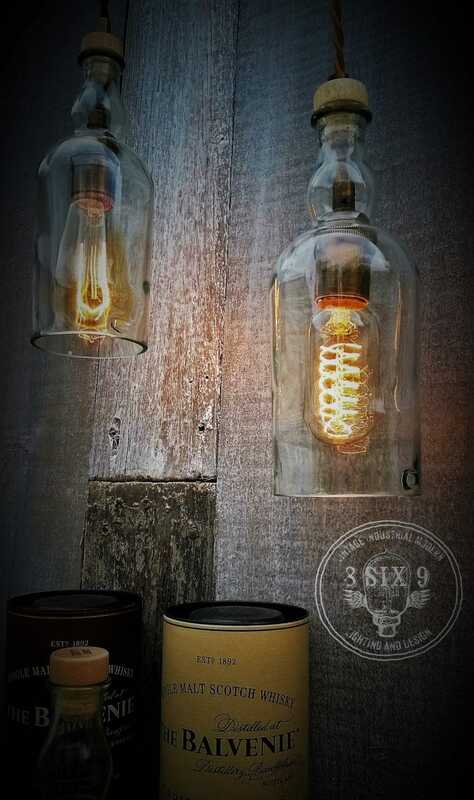 These bottles are absolutely beautiful as a pendant light, made from all different aged whiskey bottles from 12 years to 25 years, these are sure to be a one of a kind conversation piece in your home! These bottles all give off a beautiful green hue, due to manufacturing process…in which they are high in copper content and minerals in the glass. These pendants are an upgraded lighting with solid brass socket and accessories, the pendant light seen here is a 750 ml bottle no labels. Would love to try and make this!! And of course others as well!